Do Face Masks Actually Work? Face masks are among the oldest beauty treatments in the world, with records of their use going back several hundred years. The amazing thing is that centuries down the line, the popularity of face masks shows no signs of ebbing. Go to any salon, whether the neighborhood place or a high street establishment, and most treatments they offer will include a face mask. What has made face masks stick around for so long? Simple, they are astoundingly effective! In fact, most of them yield the same conspicuous results that you get after weeks or even months of using other skincare products. Then, there is the versatility to consider. Face masks come in all forms and can be made to address a wide range of skin and beauty concerns. Everything from wrinkles, acne, skin sagging, dark spots and lack of moisture can be effectively handled with face masks. Plus, they fit into any and all types of beauty routines. So, whether you are a DIY person or somebody who relies on store-bought products, a face mask can easily be incorporated into your skincare regimen. In a nut shell, there is nothing in the realms of skincare that you cannot achieve with a face mask. Two more factors that beg attention include the ease with which you can whip up your own face mask and the fact that you don’t always have to rely on commercial products in this category. You can make your very own customized face mask with as little as two ingredients and get dazzling results that will give salon treatments a run for their money. The best part is that face masks can be mixed on the spot, so there is absolutely no need to bother with preservatives or chemical compounds. Moreover, you can use ingredients that are often found in your pantry and refrigerator, which means that the overall cost of this beauty treatment comes to no more than a few dollars. Then, there are so many other benefits that also distinctly tip the scale in favor of face masks. So, if you are not already using this skincare treatment, this would certainly be a good time to start. If you have tried facemasks at salons but don’t know how to include them in your “at-home” beauty regimen, you will find all the information you need in this eBook. Finally, if you have only relied on store bought face masks so far, get ready to be stunned by the results you get with DIY preparations. And here is a fair warning – Be ready to get loads and loads of compliments! The Aim of This eBook! Stop and read this before you buy your regular face mask! Sure you can buy commercially available face masks. They do come in a myriad of forms and cover basic skin issues. But, apart from the price tag, which can often go through the roof depending on just how exotic the ingredients are, there is also the issue with preservatives and other chemical additives. OTC products are not just designed to “do good” but also “look good”. In other words, just being effective is not enough. They have to smell fantastic and have the perfect texture and color. In fact, often these traits are used as a veil to hide the degradation of the natural ingredients. A classic case is that of vitamin C serums that are often tinted with yellow or brown colors to mask the oxidation of the vitamin. And in case you are wondering who pays the price for this unscrupulous approach. Well, your skin does! Although natural ingredients are very good, they work best when used fresh. But, the makers of face masks don’t think twice about compromising on the performance of their product or adding to the skin woes of the users, as long as they meet those sales targets. So, they rampantly use chemical preservatives, fragrances and colors that damage your skin and basically annul the beneficial effects of most natural ingredients used in their offerings. Of course, I am not slotting all manufacturers in the same category. But, the simple fact is that even with the top product makers, you will still have to deal with chemical additives and you never know what has gone into the making of the product. Don’t take my word on it, simply go through the ingredients list and see how many of those compounds you know about. 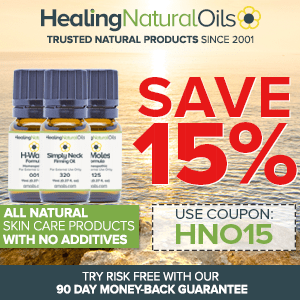 The logical conclusion is this – would it not be better to work with ingredients that are all natural, fresh and known to you versus using compounds that you know nothing about? 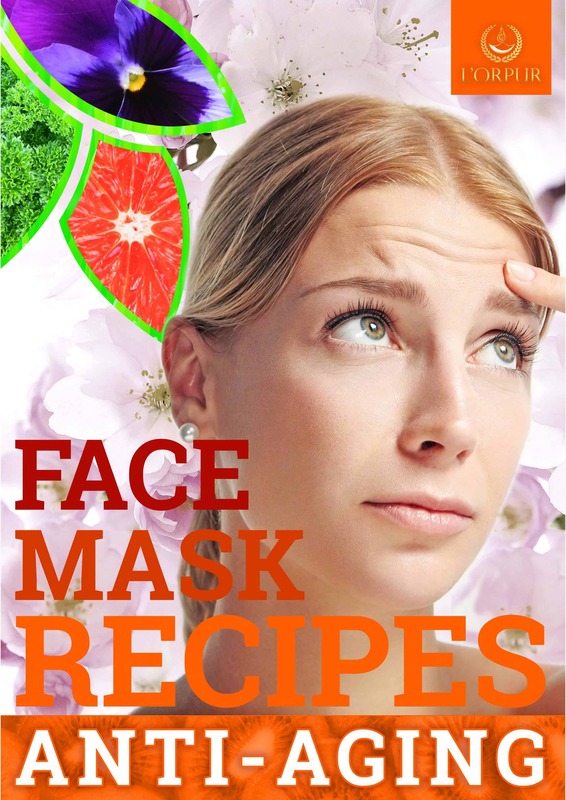 That’s the question that has spurred millions of people around the world to seek out recipes for homemade face masks. ü Help you make your own facemasks for every occasion and season without having to venture out of your kitchen. As you flip through the pages, you will learn about how the simple ingredients in your home that you often ignore can offer magical results when combined in the right way. ü You will discover the nutritional value and the benefits of various natural products that can easily be found in your refrigerator and your pantry. ü You will also know how to use these in the right quantity and with complementary products to get stunning skincare results. 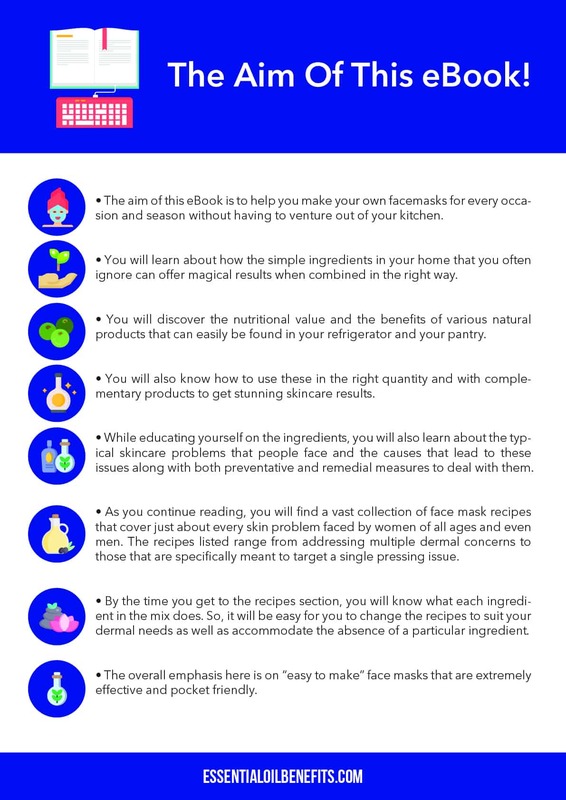 ü While educating yourself on the ingredients, you will also learn about the typical skincare problems that people face and the causes that lead to these issues along with both preventative and remedial measures to deal with them. 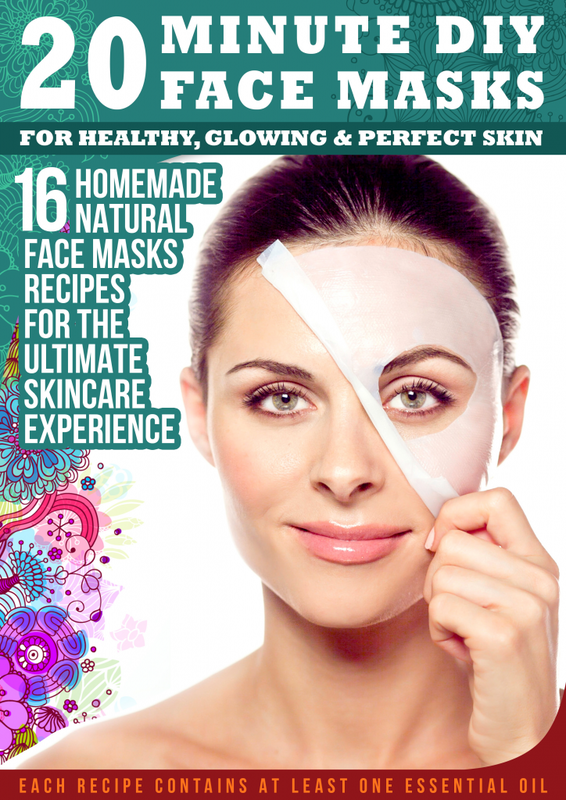 ü As you continue reading, you will find a vast collection of face mask recipes that cover just about every skin problem faced by women of all ages and even men. The recipes listed ahead run the gamut, including those that are meant to address multiple dermal concerns to those that are specifically meant to target a single pressing issue. ü By the time you get to the recipes section, you will know what each ingredient in the mix does. So, it will be easy for you to change the recipes to suit your dermal needs as well as accommodate the absence of a particular ingredient. 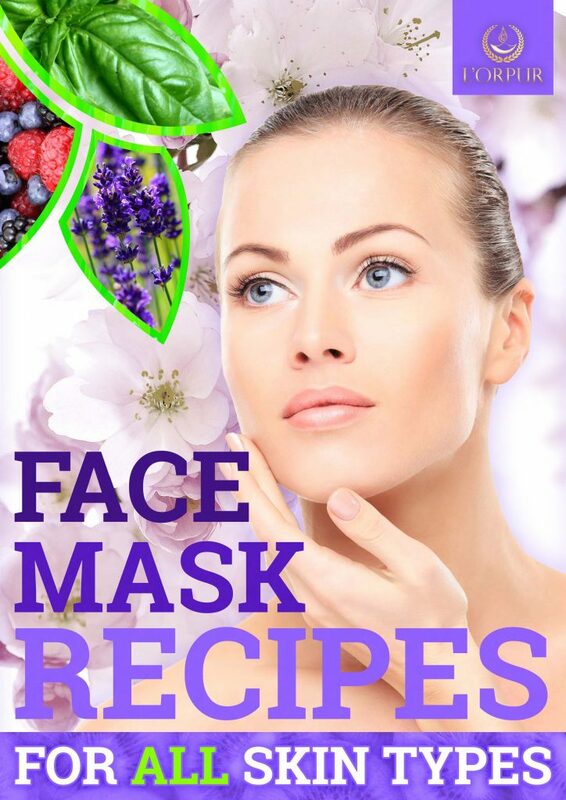 The overall emphasis here is on “easy to make” face masks that are effective and pocket friendly. 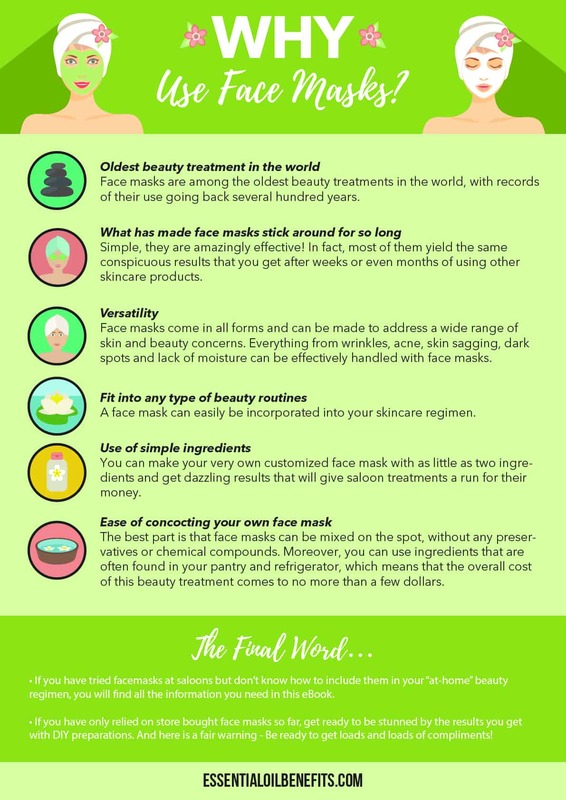 If you are all set to use DIY facemasks, this is what you need to know before you start! The ingredients are all natural, but the things that Mother Nature has provided for skincare are often just as effective as and sometimes even more so than man-made products. They are also undoubtedly safer than OTC preparations and carry a lower risk of side effects and allergic reactions. Yet, common sense should prevail when using these natural compounds. For instance, natural or not, if you are allergic to a specific ingredient, be it an herb, a spice, nuts or just about anything else, mixing it with other ingredients, won’t suddenly make it hypoallergenic. This means that the allergy will continue. Similarly, people with sensitive skin should steer clear of ingredients that contain acidic compounds, even if they are all natural. Along the same lines, if you have very dry skin, clay based masks will not suit you as they tend to draw the natural oils from the surface of skin. What I am trying to say here is that it is crucial to have a clear idea about your skin type and the problems that you want to address before choosing a face mask recipe and specific ingredients. The whole point of making a face mask at home is that you get to use the most effective ingredients while they are at their freshest best. So, storing the face mask would totally destroy the purpose of your DIY project. Some masks, such as those that are oil based, don’t spoil easily and can be stored from a few days to a few weeks, depending on the other ingredients included. However, any face mask that includes dairy products, fruits/fruit juices or fresh produce of any kind and essential oils should be used within 30 minutes of preparation. If you have accidentally made more than what you need for your face and décolleté, with a few tweaks, you can always use the mask as a body scrub. And, if you must store the facemask, put it in the freezer. Remove and store in the refrigerator for about 12 hours before use, which will give it enough time to thaw. On the other hand, dry ingredients and oil blends can easily be stored for 3 to 6 months under the right conditions, but more on this later. You can use a face pack once a week or even everyday. The point is to ensure that there is no overload of one specific or a certain group of ingredients. For instance, any face mask that is intended to chemically or manually exfoliate the skin should not be used more than twice a week. Typically, you will be using an acidic ingredient that contains, citric acid, lactic acid or malic acid in such a formulation. Once you have used an acidic compound on your face, stay away from any other mask that also has such an ingredient in its mix for at least 48 hours. Instead, go for a mask that will hydrate and boost skin healing or increase cellular turnover or is ultra-moisturizing. Put the attributes of these masks together and you get a regimen in which the dead skin cells are removed, the new cells are given all the nutrition they need to thrive and the outermost, protective layer of the skin is fortified, which keeps the cells safe. Needless to say, the results will be nothing short of stunning. So, coming back to the question of the frequency of face mask use, you can use them as often as you like as long as you don’t overdo things with just one type of mask or a particular recipe. How To Use This eBook? Make a list of the skin issues that are a visible concern and on top note down your skin type. Scroll down to the recipes section and pick out 1-2 recipes that suit your requirements. Go through the ingredients list. Check if you have everything you will need. If not, take a look at the ingredients section and understand what the missing component brings to the recipe. Find a replacement for it that is available. If, you don’t have the original ingredient nor an appropriate substitute for it, move to the next recipe in the section. You will find that each section has 4 recipes in it. Repeat steps 3-6. Get all the ingredients together and prepare the mask. Read the precautions for face masks before application. Complete the prep phase and apply the mask. Once you have used one or two recipes from this book, you can use the extensive list of ingredients and recipes to create your very own weekly and even monthly beauty regimen. If you like a particular recipe, you can make things simpler by getting at least the dry ingredients mixed and ready well in advance. You will find tips on storing and even traveling with your favorite face masks after the section on recipes and facials. 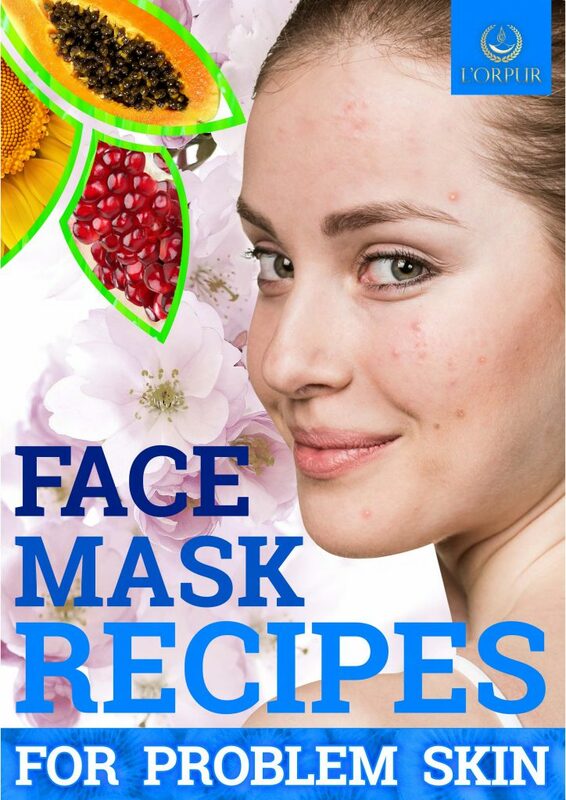 You will find the terms “drying mask”, “semi-drying mask” and “non-drying mask” sprinkled liberally throughout this eBook. These terms refer to the behavior of the mask after application and not to the effect of the mixture on the skin. For example, drying masks are typically made by combining flours or clays with non-oily liquids. So, if kept on the skin for more than 20 minutes, the liquid used in the recipe will dry completely. In contrast, the liquid portion of semi-drying masks comprise of natural emulsions such as milk, buttermilk, almond milk and others. These masks will show signs of going completely dry if kept on the skin for more than 20 minutes. But, owing to the small amount of fats in the mixture, the pulling effect they create on the skin is not so intense. As opposed to these, mixtures made by combining botanical powders with lipids such as yoghurt, cream cheese, coconut cream, ghee and carrier oils do not dry, regardless of how long they are kept on the skin. Of course, you will need to wash them off your face at some point. But, you won’t feel the familiar feeling of skin tightening with these masks as you do with drying masks. Gel masks are also completely drying masks but oil based, overnight masks are non-drying formulations. Now, here is the important question – Can drying masks dry out your skin? Well, their purpose in many cases is to regulate the production of sebum and to remove the accumulated grime and excess oils from the surface of the skin. But, drying masks will not cause dermal dryness if they are used as recommended. For example, although these masks will eventually go bone dry on your skin, you are never supposed to keep them on for that long. Which brings us to the second most important question, why am I bothering you with this little bit of information? Simple, you are never supposed to apply a completely drying mask, save for some gel masks, on the skin around the eyes. The skin around your peepers is thinner and more sensitive, which means that the pulling/tightening action caused by drying masks will do more harm than good to the skin in this area. Some semi-drying recipes can be used around the eyes but only if you can keep the mixture wet by continuously dabbing milk/almond milk or another fluid on the area. On the other hand, non-drying masks can be applied around the eyes. In fact, you can get fantastic results from such applications. So, now you know why you should not get alarmed by the use of these terms. Before that face mask goes on! That face masks are incredibly effective is a fact which cannot be contested but to get the most from the treatment, you will need to prep your skin. After all, you don’t want to waste the active ingredients and nutrients on dead cellular matter. A nourishing and moisturizing avocado face mask recipe. A simple recipe for a baking soda face mask that fights acne and excess sebum production. An easy banana face mask recipe for soft and smooth skin. A charcoal face mask recipe for deep pore cleansing. A face mask recipe with coconut oil that offers intense moisturization. A cucumber face mask recipe for increasing skin hydration. A face mask recipe with egg white for erasing signs of ageing and nourishing the dermal layers. An egg yolk face mask recipe to deal with age related skin damage. A fresh rose face mask recipe for chasing away skin inflammation. A fruit face mask recipe for gentle exfoliation. A green tea face mask recipe for protection from free radicals. A honey face mask recipe for smooth and bright skin. An oatmeal face mask recipe for soothing and healing the skin. A turmeric facemask recipe for glowing skin. A vegetable face mask recipe for dermal detoxification. A creamy yoghurt face mask recipe that cleanses and hydrates the skin.